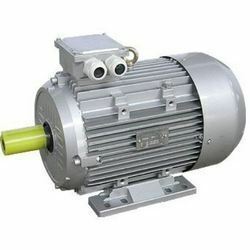 Catering to the varying needs of our esteemed clients, we are engaged in manufacturing, supplying and exporting a commendable array of Three Phase Squirrel Cage Motors. We have established an advanced infrastructure so as to manufacture this product as per the growing market demands. It is tested on different quality parameters by our diligent professionals on different parameters. Therefore, offered products are highly suitable for industrial applications. Looking for Three Phase Squirrel Cage Motors ?